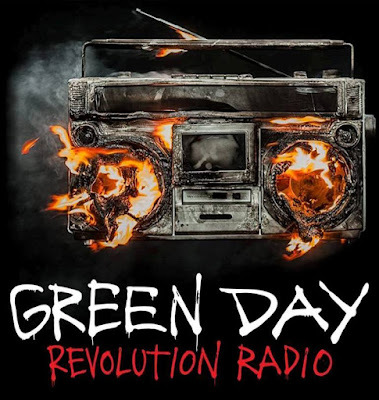 The trio of Billie Joe Armstrong, bassist Mike Dirnt and drummer Tre Cool tackle lyrical themes that address the complexities and uncertainties of modern day existence. "Of course the world has lost its collective mind... and me, Mike and Tré are lost souls too," says Armstrong. "Revolution Radio is a movement for lost souls to come together... dance together... sing together... and most of all, find each other. That's what the spirit of Green Day has been about since day one." Written two years ago, the frontman reveals “Bang Bang” was inspired by ongoing current events at home. “It's about the culture of mass shooting that happens in America mixed with narcissistic social media,” Armstrong tells Rolling Stone. “There's this sort of rage happening, but it's also now being filmed and we all have ourselves under surveillance. To me, that is so twisted.